Apogee sponsors the annual meeting of the International Society for Extracellular Vesicles. 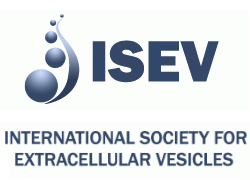 ISEV 2015 will be held in Washington DC at the Bethesda North Marriott hotel, 23-25 April 2015. For a limited period Apogee is offering its ApogeeMix bead mixture (Cat#1493, ApogeeMix, latex fluorescent 110 & 500nm plus silica 180, 240, 300, 590, 880 & 1300nm, 25ml) at the reduced price of GBP135 or US$200. The item may be ordered by emailing your purchase order to info@apogeeflow.com Quote code “ApoMix” to make sure you receive the special offer price. 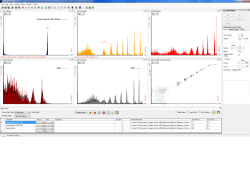 Visit Apogee at CYTO 2015 booth 520 where the new Micro+ model will be on display. The Micro+ offers uncompromised performance for microvesicle, virus and nanoparticle research. Apogee's refractive index compensated light scatter size calibration method is allowed for issuance as a patent. This addition to Apogee's patents further strengthens its position as a leader in small particle flow cytometry. This novel technology is well suited to bacteria and microvesicle flow cytometry.